Having been one of the very best road riders in the domestic season for a number of years, Ryan Sherlock has gone back to his mountain bike routes in recent seasons. And he’s taken the time to travel abroad and ride some epic events; the Mongolian Mountain Bike Challenge among them. He took in that event last September and came away with a great stage win. 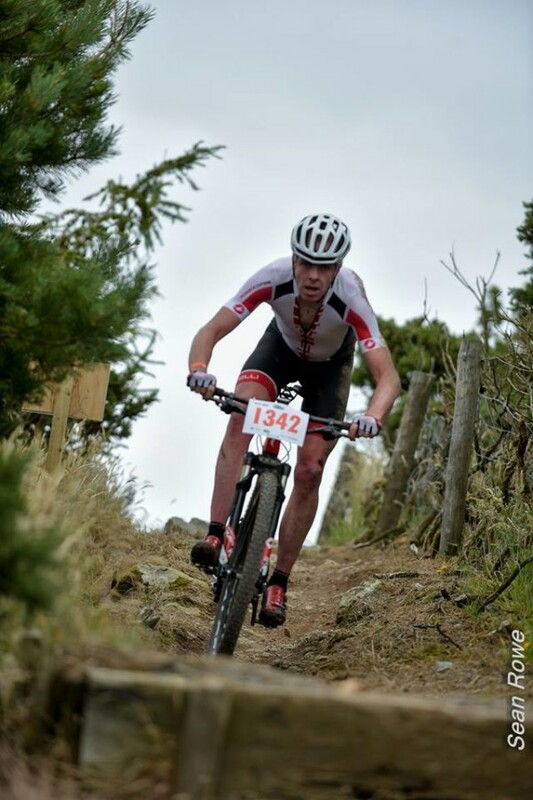 This time out he took himself off to New Zealand and rode the World 24-Hour MTB Championships at the weekend. The Irishman looked for a long period like he may take a medal, holding 3rd place for good deal of the event in Whakarewarewa Forest, Rotorua. He eventually finished in 5th place and you can read the race report on his ride by following this link. Below, check out his data from the race which he posted on Strava. On Sherlock’s Strava data, the race distance is 232.3 miles, or 373.85km. And his elevation on Strava was 17,693ft, or 5,392.82metres. But he says his Garmin was slightly off in terms of distance and elevation; with his actual distance about 430km and his elevation about 8,250metres. He also makes the point that comparing the Watts you put out in MTB races with road races is not straightforward. “In mountain bike, depending on the course; if you see 220, 230 or 240 Watts average – to translate that to a road race add on 60. “In a (MTB) cross country race my max Watts has been 240 maybe, or 235 and a heart rate of 180 average for 1 hour 45 minutes. He is 186cm in height and 75kg in weight. We’ll have an interview with him later; much respect! hen you ride with a power meter, you’ll notice how your power jumps all over the place based on the terrain, grade, wind, and other factors. Weighted Average Power looks at all of this variation and provides an average power for your ride that is a better indicator of your effort than simply taking your average power. It is our best guess at your average power if you rode at the exact same wattage the entire ride. Total Work, expressed in kilojoules (kJ), is simply the sum of the watts generated during your ride. There is a close 1–to–1 ratio with ‘total work’ and ‘calories expended’ during a ride. Strava calculates ‘training load’ by comparing your power during your ride to your FTP and determining how much load you put on your body during the workout. Training load is a great way to determine how much rest you need after your workouts. A score of 125 or lower takes 24 hours to fully recover from. A score of 125-250 takes about 36 to 48 hours to recover from. A score of 250 to 400 takes at least three days to recover from and a score of 400+ takes at least five days to recover from. Intensity is Strava’s way of showing how difficult a ride was as compared to a riders function threshold power (FTP). Strava looks at a rider’s weighted average power for the ride and compares it to their FTP. If riders’ weighted average power was 250W and FTP 300W, the intensity would 83%. It’s very possible to have an intensity of over 100% if the ride was shorter than an hour. And endurance or recovery ride is 65% or lower. A moderate ride is 65% to 80%. A tempo ride is 80% to 95%. Time trial or race effort is 95% to 105% and short TT or race effort is any score above 105%. The Strava ‘suffer score’ is an analysis of riders’ heart rate data. By tracking heart rate through a rider’s workout and its level relative to the athlete’s maximum heart rate, Strava attaches a value to show exactly how hard the rider worked. The more time riders spend going full gas and the longer their activity, the higher the score. You can compare your score to others to discover the ‘epicness’ of your ride.